Racism is a complex and multifaceted issue that takes many forms. It can be directed at migrants/asylum seekers; it can take the form of discrimination and hatred on the basis of skin colour and it can be directed at communities that are both new or long standing in Ireland. Racism can be deliberate, but it can also spring from a lack awareness/education or from the manipulation of fears for political and other purposes. While some forms of racism such as discrimination in goods and services and employment are well covered by the Equality legislation, other forms highlighted below are less well dealt with either through legislation or policy initiatives. Racist abuse directed at Cyrus Christie (November 2017) which lead to formal complaint to the FAI. Investigation of recent racist abuse experienced by Simon Zebo in recent Ulster/Racing fixture in Belfast. Anti-minority discourse by politicians and political parties seeking to make political advantage by pandering to prejudice is in the increase across Europe and is evident in countries such as Poland, Austria, Germany, France and Italy. One of most successful initiatives arising from the previous National Plan Against Racism ‘Planning for Diversity’ 2005-2008 was the development of a political protocol endorsed by all the main political parties and re endorsed prior to elections/referendums. The Protocol ensured that parties would not exploit prejudice towards vulnerable groups for political purposes, including migrants, refugees and asylum seekers and the Traveller community. Pro-active measures such as the political protocol can help decrease the opportunities or political forms of racism, particularly at election time and this political dimension should be highlighted in a new National Plan against Racism. 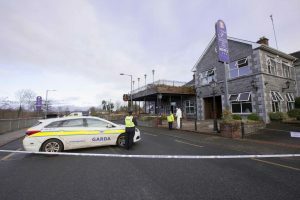 While acts of violence motivated by racism are relatively rare in Ireland, this should not make us complacent as recent examples include the arson attack on a proposed Direct provision centre in Roosky, County Roscommon (January 2019). Such violence is not new. In 2013 the Irish Refugee Council (IRC) has expressed concern for the safety of residents in a reception centre in Finglas where there have been a series of what appear to be racially motivated attacks. A number of residents have been struck with heavy objects from a speeding car. In one incident, an individual was hit on the back of the head and was hospitalised. 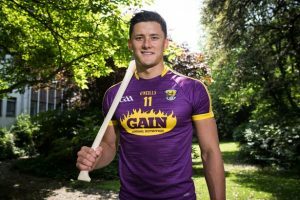 “Who experiences discrimination in Ireland? Evidence from the QNHS Equality Modules” shows 1 in 8 people experience racism and that Travellers experience much higher levels of discrimination in the workplace and in access to public and private services. ‘Life Cycle of a Hate Crime’ Schweppe et al. Additionally a range of international human rights bodies at United Nations and Council of Europe levels have called for Ireland to develop a new Action Plan Against Racism (e.g. ICERD 2011; ECRI 2013; ICCPR 2014). 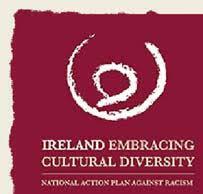 ‘In 2005, Ireland showed leadership in the area of combating racism by becoming one of the first states in the world to develop a National Action Plan against Racism (NAPR) which ran for four years to 2008 and set as its strategic direction a goal of developing a more intercultural and inclusive society. It is quite clear that we can’t be complacent about racism in Ireland. We need a comprehensive and integrated approach to tackling racism that brings together all key stakeholders including the communities themselves. We need to be proactive in building bridges with the communities that experience racism in Ireland and innovative and strategic in the way that this is done. A new National Plan Against Racism is a key way in which this can be done rather than waiting for events that may force such a plan, including the emergence of extreme political parties and politicians in Ireland. Fire at hotel, earmarked as Direct Provision Centre, Roosky, Co. Roscommon.